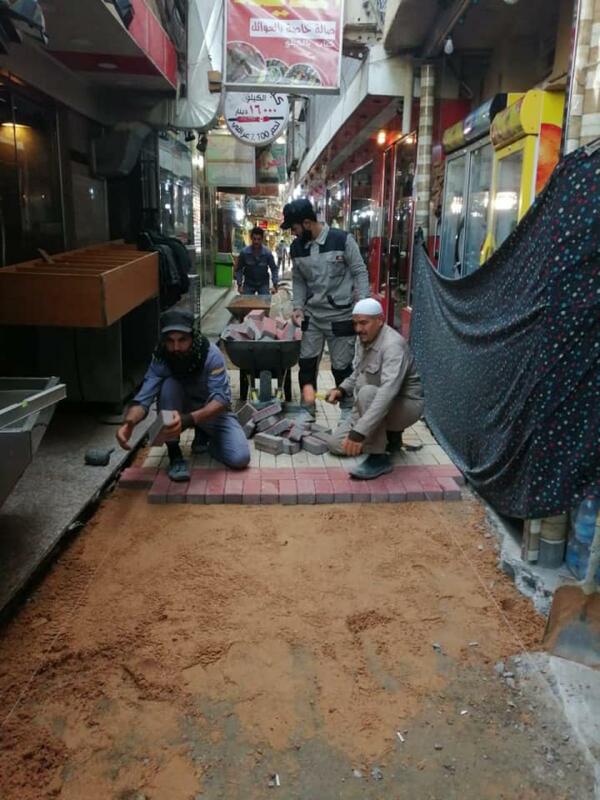 Pavement works in the secondary streets leading to the holy shrine of Aba al-Fadl al-Abbas (peace be upon him). Many secondary streets in the old city leads to the holy shrine of Aba al-Fadl al-Abbas (peace be upon him). 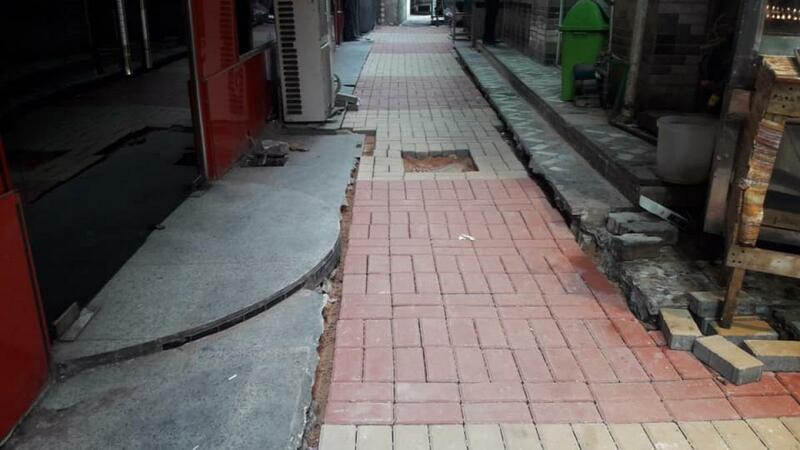 And due to their narrowness and the difficulty of entry of vehicles to it, these streets are subject to the damage, especially as they are used continuously by the visitors, the locals and the shop owners. 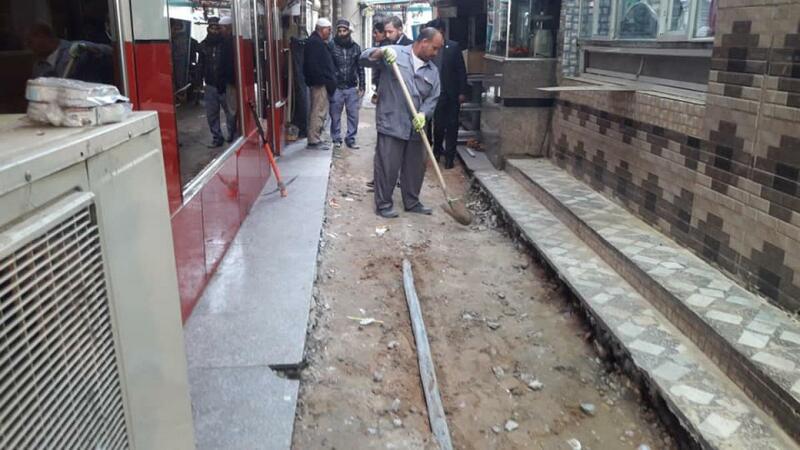 Therefore, the staffs working in the Engineering Maintenance Department at the al-Abbas's (p) Holy Shrine started pavement works for these streets. 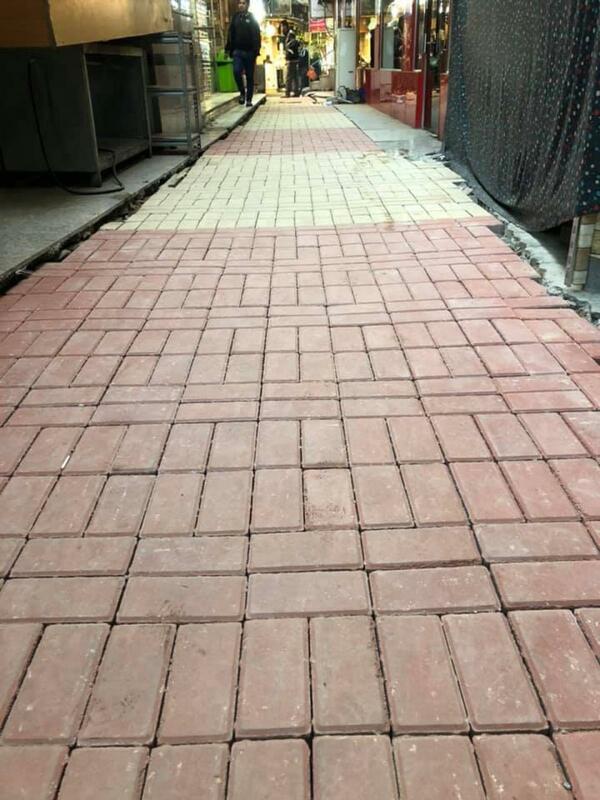 - Conducting an on-site detection of streets and alleys that need to new pavement. 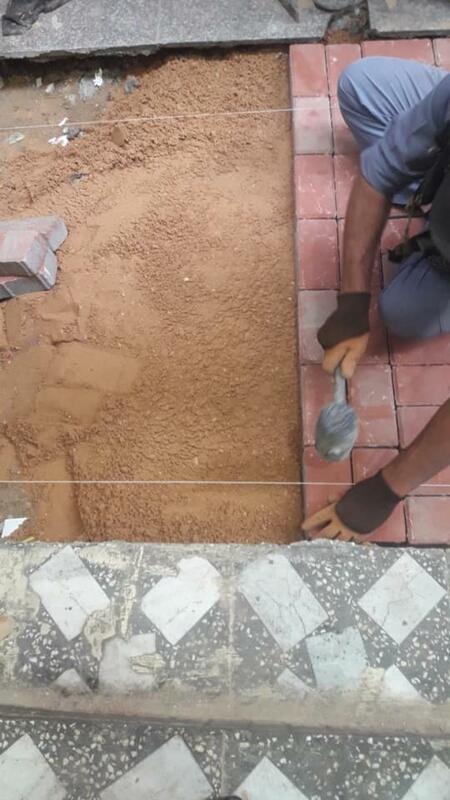 - Taking necessary measurements of the areas to be paved. - Removing the old pavements. - Adjusting the ground's level. 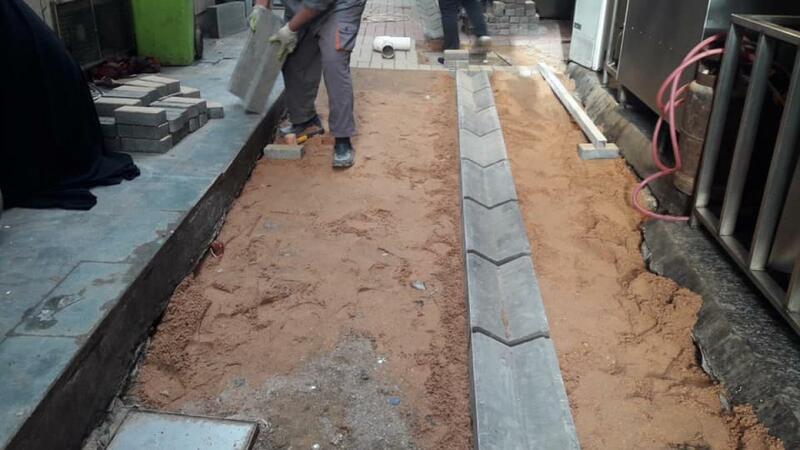 - Putting a layer of sand-gravel and flattening it according to special measurements. 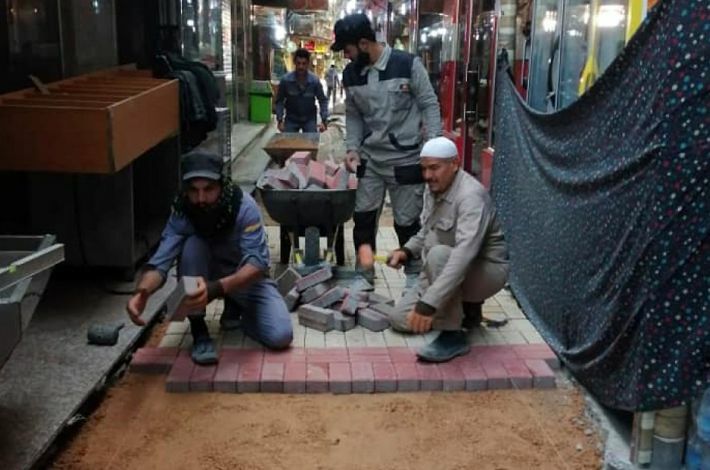 After the completion of these works, the pavement works began using special tiles manufactured in the factory of the al-Abbas's (p) holy shrine, and adding waterways for rainwater and connecting them to the main sewage system. It is worth mentioning that the engineering maintenance department at the Al-Abbas's (p) holy shrine is a vital and effective department, as it includes many working divisions, units and workshops, and its technical and engineering staff work day and night in all the vital installations and facilities in the holy shrine in order to provide the best services to the respected visitors of Imam al-Hussayn and his brother Aba al-Fadl al-Abbas (peace be upon both of them).